It does indeed appear that the Muscovy propaganda machine is heading into another “epic fail” week. Early Sunday the Russian MoD released a public statement putting all of the blame for the loss of the COOT upon Israel, exactly fitting Felgenhauer’s comparison to the Kursk SSGN disaster, where internal munitions explosions likely due to mishandling were blamed on the West, with numerous conspiracy theories then propagated to support the claim. Yakovenko suggests, and he has a good basis for this, that a lot of the motivation for putting the blame on the Israelis is simple old Russian anti-Semitism, pointing to numerous public outbursts following the loss of the aircraft. While anti-Semitism may indeed be a major factor, the prime motivation will always be blameshifting in any circumstances where a Russian government agency does something stupid or wrong, in this case, self destructively so, exactly during a period where public support for the regime’s Syrian adventure is dissipating. Where this ends is anybody’s guess since Russia is not entirely stable, and domestic propaganda imperatives over-ride foreign policy outcomes, as we have observed in Ukraine, the UK and indeed to date in Syria. Yakovenko surveys some of the more vitriolic invective aimed at Israel and Russian Jews in general over this patently Russian FUBAR. What Israel will get to observe through these events is the full extent of the duplicity of the Chekist regime in Muscovy, that will change positions on anything or everything in a blink if it imagines that it will somehow produce a short-term domestic propaganda outcome. The similarities to Nazi Germany and Fascist Italy are remarkable and disturbing. While the blameshifting exercise over the COOT is the dominant Russia topic, there are other reports of interest. SECSTATE comments on Russia. Ryabkov makes more absurd statements. More toxicity directed at Kazakhstan. Pension protests continue. Annual Kafka-Orwell Forum in Kaliningrad raided. More on Assange and Russia. SECSTATE warns Iran and comments on Iran policy. Iran blames US for Arab minority attack on IRGC parade. 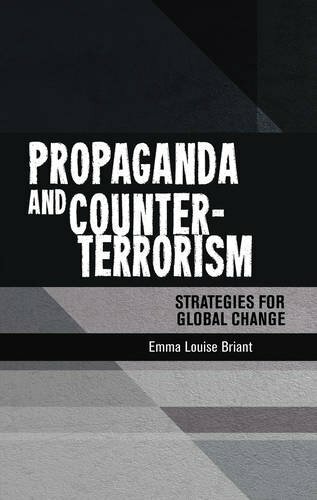 Multiple reports on Syria, especially Idlib, and more on Turkey. Paul Goble Staunton, September 21 – Anti-Semitic statements have always been a staple of Russian social media; but ordinarily, Igor Yakovenko says, the government media don’t include “openly anti-Jewish texts and statements. But the armored train of anti-Semitism always is always at the ready, as this week showed in Russian media reaction to Syria’s downing of the Russian plane. Even though the Il-20 was shot down by Syrian forces, much of the Russian media acted as if Israel were to blame, with what can only be described as anti-Semitic language covered by “the fig leaf of hatred for Israel, the Russian commentator suggests (kasparov.ru/material.php?id=5BA37C1AEC411; cf. kasparov.ru/material.php?id=5BA1F3AB5E82A). “After the Holocaust,” Yakovenko continues, “open demonstration of one’s anti-Jewish attitudes became somewhat more difficult for public persons and was transformed into an occupation of marginals or entirely simple-minded anti-Semites of the type like Petr Tolstoy with talk about how people came out of the Pale of Settlement in 1917 and destroyed churches. “The anti-Semitic campaign in the USSR was masked under the struggle against ‘rootless cosmopolitans.’” Later, Soviet writers could indulge their anti-Semitism with talk “under the pseudonym of ‘Zionism,’” all the more saw because “as Soviet propaganda asserted, it was ‘equal to fascism.’” According to Yakovenko, “Judeophobia in Putin’s Russia still publicly speaks under the cover of hostility to Israel. Potential pogromshchiks pick up the signals coming from the powers that be. A troglodyte sense allows them to sense their brother Judeophobe under any mask. And they with impatience wait from the authorities the signal to action.” “But at a certain moment,” the commentator says, “they may begin to act without any signal being given.” In support of his contention, Yakovenko points to what has happened since the Russia Il-20 was downed by a Syrian missile, something that the nationalist Tsargrad TV immediately sought to blame on Israel and on “the Israeli lobby in Russia.” It urged giving modern weapons to Israel’s enemies as part of a genuine “’Russian response.’” According to Tsargrad commentators, Israel’s guilt for the downing of the Russian plane is equal to that of Turkey for its shooting down of a Russian jet earlier; but “the Israeli lobby” in Moscow has blocked officials from taking actions even as harsh as those the Kremlin did against Turkey earlier. Appended to the website version of Tsargrad’s program on this point are some 550 commentaries, “with the most humane commentators,” demanding only that Moscow adopt toward Jews in Russia the slogan “suitcase, airport, Israel,” but some insisting that the latest event had led them to begin “’to understand Hitler.’” Meanwhile, writing in Vzglyad, commentator Vitaly Tretyakov called for “an eye for an eye and a tooth for a tooth” given that in his view, “Israeli military personnel have no honor” and are prepared to commit any crime, even though of course the Syrians not the Israelis shot down the Russian plane (vz.ru/opinions/2018/9/18/942270.html). And Col. Gen. (ret.) Leonid Ivashov, “an anti-Semite of longstanding,” Yakovenko notes, called for sending advance weaponry to Hezbollah so that that group could “destroy Israel.” In addition, he demanded that the Russian ambassador to Israel be recalled and the visa-free regime ended. His words were seconded by LDPR Duma deputies. Immediately after Major General Konashenkov reported that the Russian IL-20 Asad’s fighters were brought down because Israeli pilots deliberately “substituted” the Russians and “covered” them, a program was broadcast on the television channel “Tsargrad TV” under the title: “Revenge for IL- 20: Will there be a blow to the Israeli lobby in Russia? “. Leading Andrei Afanasyev explains what will be the “Russian response” to Israel. In addition to the set of duty – to shoot down Israeli aircraft and put the latest weapons on Israel’s enemies – the “first Russian channel” has very elucidated the problem of the “Israeli lobby” in Russia. The Israeli Air Force misled Russia by providing wrong information about the area of the planned air strikes in Syria on September 17, thus preventing the Russian Il-20 from moving to a safe zone, Russian Defense Ministry spokesman Maj. Gen. Igor Konashenkov said on Sunday. Speaking at a press briefing on Sunday, Russian Defense Ministry spokesman Maj. Gen. Igor Konashenkov provided more details on the downing of the Russian Il-20 military aircraft near Syria on September 17. “Today, we share detailed information about the crash of the Ilyushin IL-20 airplane of the Russian Aerospace Forces near the Syrian coast on September 17. We will present a minute-by-minute account of this tragic incident that was made based on the objective radar readings including those from the Plotto air information display system,” he said. Tel Aviv has ordered the commander of the Israeli Air Force to continue talks with his Russian counterparts about the destruction of the Russian Il-20 recon aircraft over Syria. Israel’s Defense Ministry maintains that Syria is responsible for the destruction of the plane, which took place during an Israeli air raid on Syrian targets in Latakia. 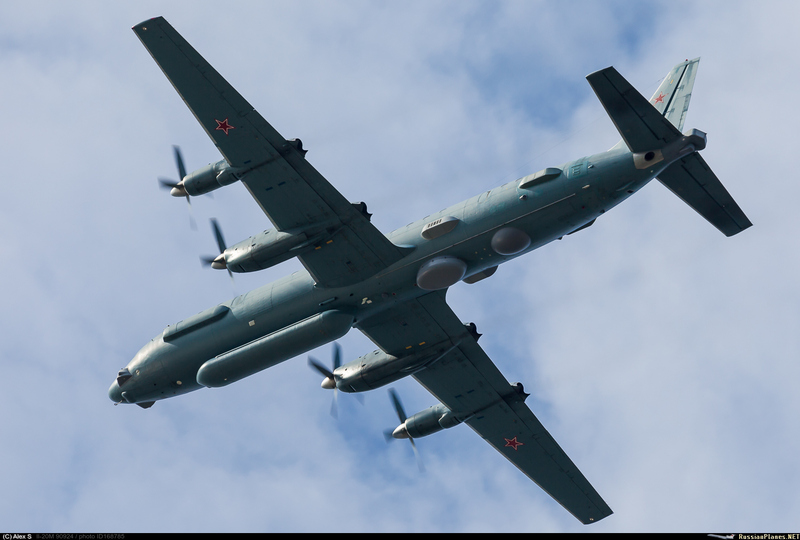 The destruction of a Russian Il-20 reconnaissance aircraft with 15 airmen onboard has led to questions about Moscow’s relations with both Syria and Israel. Speaking to Sputnik, Middle East affairs observer Ali ben Masoud al-Mashani said he was confident that whatever else happens, Russian-Syrian counterterrorism cooperation will continue. Russia’s Defense Ministry has accused Israel of misleading Moscow on downing of the Russian Ilyushin Il-20 military plane off Syria last week by providing false information about the area of the airstrike, Russian media reported Saturday. By doing so, “the Russian Il-20 couldn’t move to a safe place,” Russian Defense Ministry spokesman Maj. Gen. Igor Konashenkov was quoted by Sputnik News on Sunday. Speaking at a press briefing on Sunday Konashenkov refuted claims by Israel that the Russian reconnaissance plane was struck after all Israeli jets were back in Israeli airspace, saying that F-16 jets maneuvered toward approaching Il-20 and used the aircraft “as a shield” against Syrian anti-aircraft missiles. “The Israeli military either allowed criminal negligence or lacked professionalism which resulted in the downing of the Il-20,” he said. According to the Russians, new details about the incident showed that Israeli jets left the area only 10 minutes after receiving information that the crew of the Il-20 had began an emergency descent after it was hit. Konashenkov added that Israeli jets may have also posed a threat to passenger planes when the Il-20 was shot down. Russia’s Defense Ministry has accused Israel of criminal negligence and misleading Moscow on downing of the Russian Ilyushin Il-20 military plane off Syria last week by providing false information about the area of the airstrike. “We believe that the blame for the tragedy of the Russian Ilyushin-20 lies entirely with the Israeli air force and those who made the decision to carry out such actions,” Russian Defense Ministry spokesman Maj. Gen. Igor Konashenkov said. “The Israeli military either allowed criminal negligence or lacked professionalism which resulted in the downing of the Il-20,” he said during a press briefing on Sunday in Moscow. Konashenkov refuted claims by Israel that the Russian reconnaissance plane was struck after all Israeli jets were back in Israeli airspace, saying that F-16 jets maneuvered toward approaching Il-20 and used the aircraft “as a shield” against Syrian anti-aircraft missiles. By doing so, “the Russian Il-20 couldn’t move to a safe place,” Konashenkov was quoted by Sputnik News on Sunday. According to the Russians, new details about the incident showed that Israeli jets left the area only 10 minutes after receiving information that the crew of the Il-20 had began an emergency descent after it was hit. Konashenkov added that Israeli jets may have also posed a threat to passenger planes when the Il-20 was shot down. 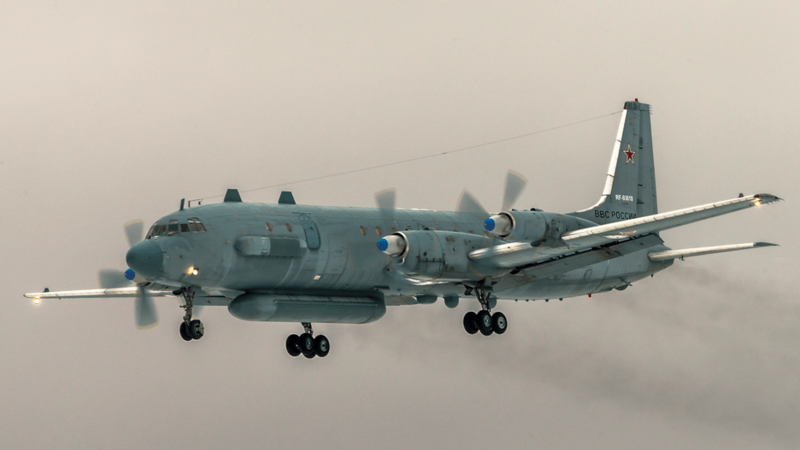 Senior IDF officer: “We feel that our data has been received in an objective and transparent manner.” Russia’s Defense Ministry will publish detailed information on the downing of the Russian Ilyushin Il-20 military plane off Syria last week, Russian media reported Saturday. “The minute-by-minute timeline of the tragedy will be given with a presentation of objective data from the radar’s data handling system about the air situation in Syria on September 17 and actions of Israel’s air force in the area of the crash,” the ministry was quoted by TASS news as saying. Be the first to know – Join our Facebook page. The IDF’s delegation to Moscow headed by Israel Air Force Commander Maj.-Gen. Amikam Norkin returned to Israel early Friday morning after meeting with senior Russian officials following an agreement between Israeli Prime Minister Benjamin Netanyahu and Russian President Vladimir Putin. “The meetings was factual and to the point,” a senior IDF official said Friday of hours-long meetings which were led by the commander of the Russian Air Force in Moscow. Israel presented all facts regarding the incident including intelligence gathered prior to the strike, the recording of the hotline call between Tel Aviv and Syria’s Russian-operated Khmeimim Air Base prior to the Israeli operation, the significance of the attack and the findings of the IDF’s investigation. Russian Defense Ministry spokesman cites Israeli “misinformation” as direct cause behind the deadly downing of a Russian aircraft off the Syrian coast last week, calling Israel “ungrateful” • Israeli official: Mini-crisis with Russia will subside in a matter of weeks. The Russian Defense Ministry announced on Sunday that Israel bears responsibility for the Syrian downing of a Russian reconnaissance plane during an Israel Air Force (IAF) strike last week. In Moscow press briefing, Russian Defense Ministry spokesman presents country’s findings on Syria’s downing of Russian reconnaissance plane during attempt to repel IAF strike on Latakia; F-16 pilots used a Russian aircraft as a shield against the Syrian air defenses. Russia’s defense ministry on Sunday released its own report on the shooting down of a military aircraft by Syria almost a week ago, saying the blame for the disaster lay “entirely with the Israeli air force.” “The Israeli jets saw the Russian Ilyushin Il-20 and used it as a shield against the [Syrian] anti-aircraft missiles, while they carried on maneuvering in the region,” the state-run RT network quoted ministry spokesman Major General Igor Konashenkov as saying. Moscow’s report charged that the Israeli pilots — who were carrying out an air strike on a target in Syria — knew the Russian aircraft would become the target of what Israel has described as a “rampage” of Syrian anti-aircraft fire. An Israeli report presents a detailed description of the events leading up to Syria shooting down a Russian spy plane, which occurred when Assad’s forces responded to an Israeli airstrike. By: JNS.org and World Israel News Staff Following an urgent meeting between Israeli and Russian military officials after the downing of a Russian spy plane over Syria, a 40-page report reveals that Syria shot down the aircraft while responding to an Israeli airstrike. 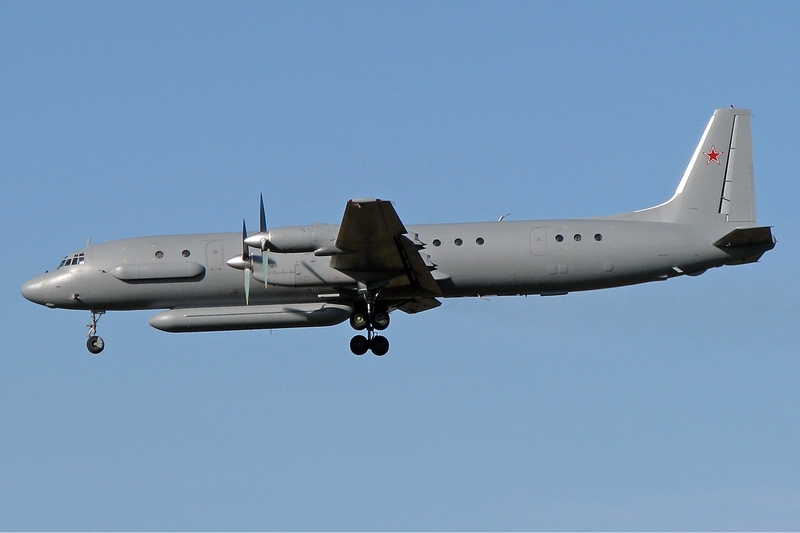 On the night of Sept. 17, a Russian Il-20 reconnaissance plane carrying 15 crew members was shot down just after Israel attacked a weapons depot outside Latikia believed to be connected to Iranian-backed terror. Russia blamed Israel for the downing of a war plane last week, accusing the country of deliberately misleading Moscow and disputing Israel’s version of events that killed the 15 Russian soldiers aboard. By Thomas Grove Sept. 23, 2018 6:59 a.m. ET Russia blamed Israel for the downing of a war plane last week, accusing the country of deliberately misleading Moscow and disputing Israel’s version of events that killed the 15 Russian soldiers aboard. A spokesman for Russia’s Defense Ministry said Sunday that Moscow rejected specific claims presented personally last week by Israel’s Air Force commander that put responsibility for the plane on Syria. A Russian reconnaissance Il-20 plan was brought down last week after getting caught in the fire from Syrian semi-automated air defense systems, which were defending against Israeli F-16s that had struck Iranian targets in Syria. MK Shelah of foreign affairs and defense committee says Russia is using the plane crash incident to restrict Israel’s movement in Syria. Israel has provided Moscow with proof it bore no responsibility for bringing down a Russian plane in Syria, an Israeli military official said on Friday. Fifteen Russian crew were killed when an IL-20 surveillance plane crashed near Latakia in northern Syria on Monday. Russia has said Syria shot the plane down shortly after Israeli jets hit a target in the area. Initially the incident appeared likely to cause friction between Israel and Russia, with the Defence Ministry in Moscow accusing Israel of indirectly causing it. But President Vladimir Putin later called it “a chain of tragic, chance events.” An Israeli delegation led by its air force chief this week presented Moscow with its findings on the incident, “including recordings of the conversations between the Israeli air force and the Russian air force component in Syria,” said the Israeli official, who briefed reporters on condition of anonymity. Cooperation between two countries hangs in balance as government in Moscow says only defense experts can assess quality of Israeli findings,’ following deadly incident off Latakia coast; Kremlin denies report Putin ignored Assads phone call. YERUSHALAYIM – As Russia prepared to release its own report on the incident last week, in which one of its reconnaissance planes was downed by a Syrian missile, killing 15 Russian soldiers, Defense Minister Avigdor Liberman said Sunday that nothing would change in Israel’s policies regarding Syria. Speaking to Reshet Bet, Liberman said that “we have made it clear that we will not allow Syria to be turned into a forward base for Iran to operate against Israel. We will continue to act to prevent this, in whatever we can and need to. And we do not intend to conduct a public debate with Russia over this in the media.” Last week, Israeli Air Force Commander Maj. Gen. Amikam Norkin traveled to Moscow to present Israel’s assessment of the incident, in which a Syrian missile, apparently fired by Syrian forces in response to an IDF attack on an Iranian base in the Latakia region, hit the Russian jet. A senior IDF source quoted by Ha’aretz said that Israel had presented “operational and intelligence details regarding Iran’s entrenchment in Syria, the transfer of weapons to Hezbollah, and the information the IDF possessed about depots in Latakia that led to Israel’s attack.” A report in Lebanese media Friday said that Russia had rejected the Israeli report as being “incomplete.” Neither Russia nor Israel had any comment on that report. Russian Defense Ministry will publish investigation into Russian plane crash. Were conclusions of Israeli team accepted? Syria claims that Israel attacked a Syrian aluminum factory while the IDF says a military facility about to transfer weapons to Hezbollah was struck; footage released by Syria shows site completely ruined. On September 20, Israeli Defense Forces delegation led by Air Force Commander Major-General Amikam Norkin arrived in Moscow with a report regarding the Russian Il-20 crash in Syria. According to ‘The Times of Israel’, after Moscow’s accusations, the Israeli government made “full-scale diplomatic efforts” to resolve the situation fearing to lose close cooperation with the Russian military in Syria. In particular, Israel took unusual actions by openly acknowledging the fact of carrying out the operation in Syria and publishing some of the findings of its internal investigation. Part of the data in the report coincides with what Israel said the day after the crash of the IL-20. The Syrian air defense began to fire when Israeli fighters had already returned to their airspace. The Syrians conducted an indiscriminate and inaccurate attack without having made sure that there are no Russian planes in the air. The Israeli military said that Israeli-Russian deconfliction mechanism that night worked in accordance with the usual procedure. It worked the same as with 200 similar Israeli attacks on sites in Syria over the past two years. The Russian Defense Ministry said that it received a warning about the air strike only a minute before it began, however, Israel says that this is not the case. On September 21, a source in the IDF (Israel Defense Forces) told reporters that Russia had been warned “quite accurately much earlier than one minute”, reports RIA News. According to the report, after the attack on the evening of September 17, the Syrian air defense opened fire in all directions throughout Syria, including to the south (towards Lebanon), to the east and to the west, that is, towards the sea where the Russian aircraft was shot down. They continued firing for over half an hour using dozens of types of missiles. The Soviet-made S-200 system shot down the IL-20. According to Israel’s military, this approach to air defense appeared in Syria in February. Then, the Syrian military managed to shoot down the Israeli fighter F-16. Prior to that, Syrians used to respond to Israeli air raids with only a few missiles, but since February, Syrian military started launching dozens of missiles during each Israeli attack. Thus, On May 10, when Israel attacked about 50 facilities in Syria, Syrians launched about 170 missiles in response. In such cases, Syria and Russia usually coordinate their actions, but on September 17 a number of mistakes led to the crash of the IL-20, believes the IDF. “The IDF considers a miracle the fact that no foreign aircraft has been shot down by Syria before that,” reports Ynetnews. The press secretary for the President of Russia, Dmitry Peskov said that Vladimir Putin did not refuse to answer phone calls from Syrian leader Bashar Assad after the Syrian air defense shot down the Russian Il-20. According to Peskov, Putin reviewed all the materials provided by the Israelis, with the details of the destruction of the Russian Air Force aircraft on September 17th. Some Israeli media referring to Israel’s Minister of Intelligence Yisrael Katz wrote that the Russian president was furious and did not want to talk to the Syrian president after the Il-20 was shot down. It was reported that the official position of the Russian Ministry of Defense (putting all responsibility for the downed aircraft on Tel Aviv) is not the same as Putin’s view of the incident. “This is not true, do not believe the Israeli media reports,” said Peskov on September 21st. According to him, “the president [Vladimir Putin] is aware of all the information,” that the Israeli Air Force Chief Amikam Norkin personally handed over in Moscow to the representatives of the Ministry of Defense on September 20th. Peskov clarified that the data received is detailed and very technical and therefore the Ministry of Defense can assess the data only after careful study. Therefore, there will be no comments from the Kremlin until it is the right time to do so. Secretary of State Mike Pompeo says in a new interview that the Trump administration has not been “successful” in its efforts to improve U.S. relations with Russia’s government due to “malign” activities performed by Russia. Kremlin stated that the additional anti-Russian sanctions imposed by the US undermine international stability. “It would be good if they remembered the notion of global stability, which they are thoughtlessly undermining by forcing tension in Russian-American relations,” stated the Deputy Foreign Minister Sergey Ryabkov. “Playing with fire is stupid because it can become dangerous.” Meanwhile, the Chinese Foreign Ministry on Friday urged the US to lift the sanctions against the Chinese armed forces imposed by the Trump administration in response to Beijing purchasing fighter jets and missile systems from Russia. The official spokesperson for the Foreign Ministry, Geng Shuang, made this statement during the daily press briefing in Beijing. The US claims that the Chinese armed forces have violated the sanctions regime imposed on Moscow in response to interference in the 2016 election. Window on Eurasia — New Series: Why Weren’t Kazakh Forces Invited to Participate in Russia’s Vostok-2018 Exercises? Paul Goble Staunton, September 22 – Social networks in non-Russian languages are “becoming more popular than official media outlets,” and this “national Internet is exerting ever more influence on the consciousness of young people,” according to Gulnara Gabdrakhmanova, head of the department of ethno-sociology at Kazan’s Institute of History. Gabdrakhmanova draws those conclusions on the basis of research she and her colleagues have been carrying out in Tatarstan, studies that define “the national Internet” as the collection of resources devoted to questions of ethnicity, culture, language and history (azatliq.org/a/29488495.html in Tatar; idelreal.org/a/29500285.html). She tells Rimma Abdrashitova of Radio Svoboda’s Tatar-Bashkir Service that this portion of the Internet consists of two components – “portals of the organs of state power which seek to present the culture of the peoples of our country” and “social media,” which includes blogs, social networks, forums, and acquaintance sites. Gabdrakhmanova and her colleageus analyzed the Tatar-language resource Matbugat (matbugat.ru/) and the Russian-language Tatpressa (tatpressa.ru/), two sites directed at very different portions of the Tatar audience – the first to residents in rural areas; the second to Tatars living in urban areas. She notes that the Russian-language electronic media devote more attention to social themes and politics while the Tatar ones focus on religion, culture, morality, and family problems.” In general, the Kazan scholar says “besides Radio Azatlyk, the electronic national media almost do not write about politics” in the broadest sense. Vladimir Putin’s moves on the language front have attracted attention in the non-Russian electronic media, she adds. Indeed, “problems of national languages have always been and will be important for people” because “one of the main components of support for ethnic self-consciousness is language.” But Gabdrakhmanova points out that the division on language is very different than is often suggested in central commentaries. “Our research has always shown that a large number of respondents support the study of native languages” in the republics. “Russians of Tatarstan have said that they view with understanding the need to study Tatar in the republic.” In other comments, she notes that there are “about 6,000” different public sites in Tatar, a number that is constantly growing and attracting new visitors and participants. These sites focus on an enormous range of issues and attract people from within the republic and far beyond its borders. In part because of this growth, “printed media and state institutions are losing influence on the consciousness of people,” the Kazan ethno-sociologist says. Those trends will only increase because the non-Russian Internet is growing “geometrically” and will continue to do so, her studies suggest. Paul Goble Staunton, September 22 – In an unwitting confirmation of the significance of the sixth meeting of the Kafka-Orwell Forum in Kaliningrad, some 20 masked Russian siloviki broke into the room where participants were staying, claimed they had found drugs, and detained three participants, all so that Moscow’s REN TV could film this to show on its news program. The Moscow authorities have shown unusual interest in the forum in the past, but their actions this year far exceeded those of two years ago when “unknown” people slashed the tires of participants. As a result, the organizers chose for the first time to issue a public statement describing and denouncing what happened (philologist.livejournal.com/10471185.html). Specifically, the organizers pointed out that “about 30 policemen, special service officers, and spetsnaz officers, and correspondents of federal publications who had come specially to Kaliningrad – all these solid people assembled in the entryway of the pension to compile a protocol about administrative violations.” “One can only congratulate these people for their professionalism and the brilliantly prepared special operation. But we will continue our activity, despite such threats and provocations. We have spoken with participants … and we do not think that this circus will in any way harm the reputation either of the forum or the personal reputation” of its participants. Although the organizers did not say, any independent observer can easily conclude that Kafka and Orwell would have found this whole story a brilliant confirmation of their own writings about totalitarian societies – and also about the possibilities for resistance by those who are not intimidated. On the same day in Perm, yet another Kafkaesque or Orwellian development occurred. Visitors to the Perm 36 Museum which was originally created as a memorial to the victims of the GULAG were told by the new guides hired by those who now control that institution how wonderful the GULAG was. In a Facebook post entitled “Beyond the Boundaries of Good and Evil, human rights activist Lyubov Sokolova reports that this “sadist in the guise of a guide” said of the GULAG that “nowhere in the villages was there central heating but here there was” (facebook.com/groups/312182498867001/permalink/1873499422735293/?__tn__=-R). “Nowhere in the villages was there a club, but here there was; movies were shown once a week and there were barbers and medical people” and so on. The guards even used the formal “you” in addressing prisoners, clearly a mark of respect. And as good as things were under Stalin, they became even better after 1953. “We can to the conclusion that the guide was a museum exhibit,” Sokolova says. But unlike the others, one who could speak. Julian Assange: Ecuadorean ambassador to Russia? That could of very well been the case in 2017 — when Ecuador attempted to give the Wikileaks founder a diplomatic post in Moscow, but were forced to rescind the offer after the British refused to play ball, a report says. THE ECUADORIAN government awarded Julian Assange a diplomatic post in 2017 but stopped him from taking up the position after the UK refused to give him diplomatic immunity, according to revealed documents. Secretary of State Mike Pompeo issued a stark warning to Iran Friday, telling CNN that Washington will take direct action against Tehran for any attacks, even those using proxy forces, against US interests. Secretary of State makes clear US will take direct action against Tehran for any attacks. Secretary of State Mike Pompeo sits down with CNN’s Elise Labott to talk about foreign policy with Iran and North Korea, his criticism of John Kerry and Bob Woodward’s book. US News: WASHINGTON: The US is not interested in regime change in Tehran, but wants it to change its behaviour and stop continuing with their terror threats to. US SECRETARY of State Mike Pompeo has warned Iran that the US could respond militarily if American interests are targeted by Iranian backed groups which are active across the Middle East. President Donald Trump has, at almost every turn, defied experts on Iran policy to take a very aggressive track against Tehran. The Latest on the fallout from Saturday’s attack on a military parade in Iran (all times local): 11 a.m.
At least 29 people were killed and 70 others wounded in an attack on a military parade in Iran’s southwestern city of Ahvaz on Saturday, according to Iran’s semi-official Fars News Agency. Al Jazeera English Published on Sep 22, 2018 At least 29 people have been killed and 53 wounded after unknown gunmen opened fire at a military parade in the southwestern Iranian city of Ahvaz, state television reported. The attack on Saturday came as the country marked the anniversary of the start of its 1980-1988 war with Saddam Hussein’s Iraq, and prompted President Hassan Rouhani to warn of a “crushing response”. IRAN has pledged to defeat Donald Trump and the United States and warned the American leader will “suffer the same fate as Saddam Hussein” as tensions between the two nations threaten to boil over. A deal struck Monday by Russia and Turkey appears to have stalled any sort of imminent Syrian military attack on Idlib, but tensions remain high in the region. Iran was not a party to the agreement, which might signal to Washington, Israel and others that Iran’s role in Syria has been sidelined. Ankara fears a regime offensive in Idlib could send refugees racing to the border and fuel new militancy. Turkey-allied Syrian rebels said on Sept. 22 they would cooperate with Turkish diplomatic efforts that have halted a Russian-backed government offensive in Idlib, but they will not surrender their weapons or territory. The Turkish Nationalist Movement Party (MHP) leader Devlet Bahçeli on Sept. 22 praised the deal reached between Russia and Turkey over Syria’s Idlib. Turkey is using 65 percent indigenous products in its defense operations, Turkish President Recep Tayyip Erdoğan said on Sept. 22. Turkey and Germany on Friday pledged to forge closer economic and strategic ties following a high-level meeting of their finance, economy and energy ministers in Berlin. Russia’s military presence in Syria has effectively turned the tide of war back in 2015, the year Islamic State was about to “roll over Damascus,” the head of Israeli Air Force intelligence said in an interview. Previous Post What Does “Defend Forward” Cyber Strategy Mean?